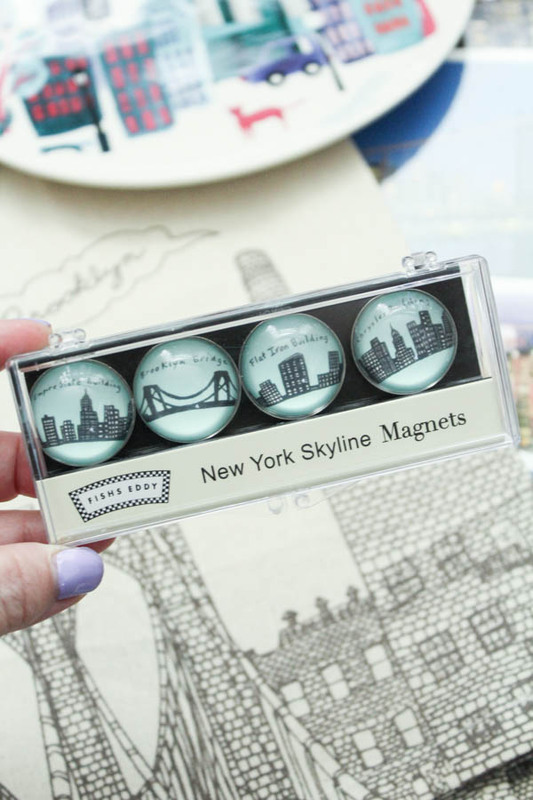 We had such a fun time finding New York themed trinkets throughout the city to bring back. We didn't want to spend crazy money, but wanted cute reminders to sprinkle throughout our home from our visit. 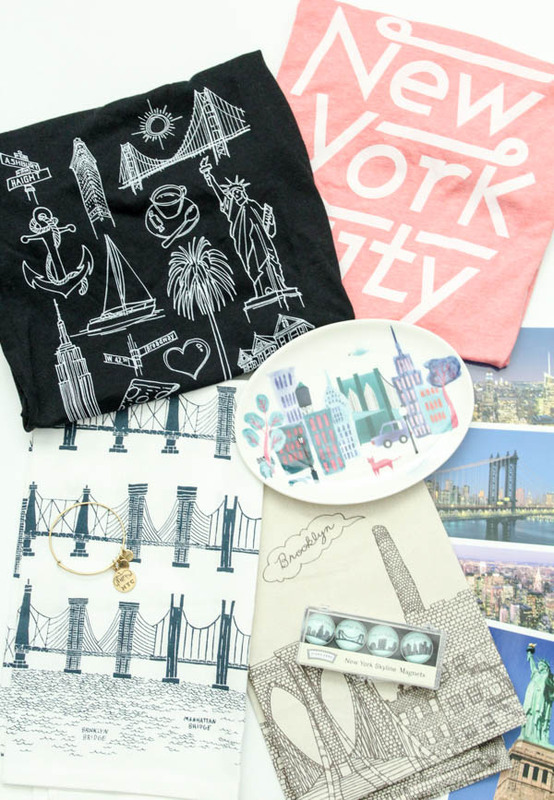 Here's a few places where we found some perfect souvenirs! This is the place to wheel and deal! We took cash and got a bunch of postcards for less than a dollar each. We saw the same exact postcards in Times Square for $2 each! This is a "no duh" suggestion on my list. We ended up getting NY hats from the Lids store in Times Square, and walked around! They have the most touristy souvenir options. 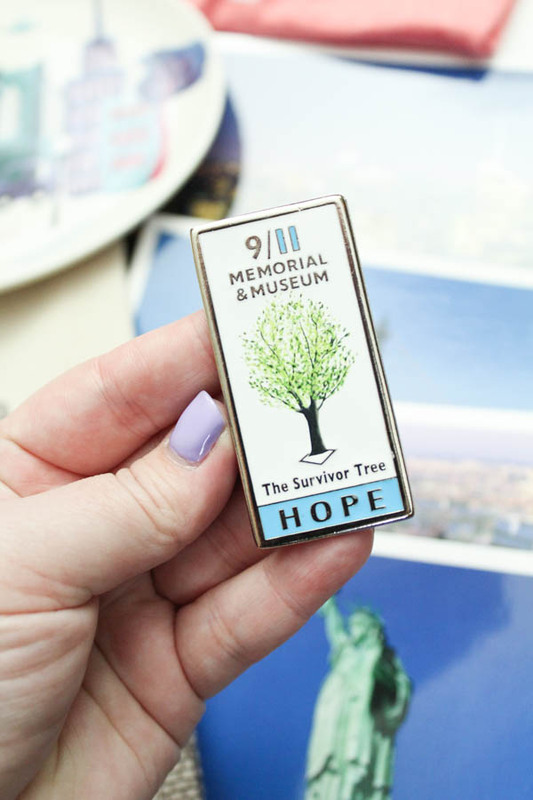 I snagged my Alex and Ani NYC bracelet here, and Ryan grabbed 'The Survivor Tree' magnet for his office. Here's the story on The Survivor Tree at 9/11's Memorial. This is an adorable dishware store in the Flatiron District, that my friend Amelia suggested. Everything was SO dang cute! 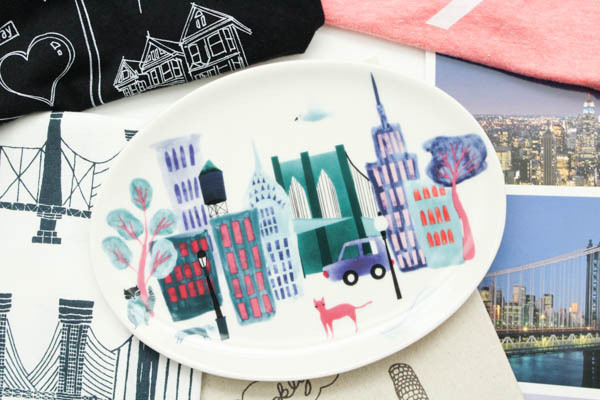 I got this plate, 2 New York themed dish towels, and some New York Skyline Magnets for the fridge. 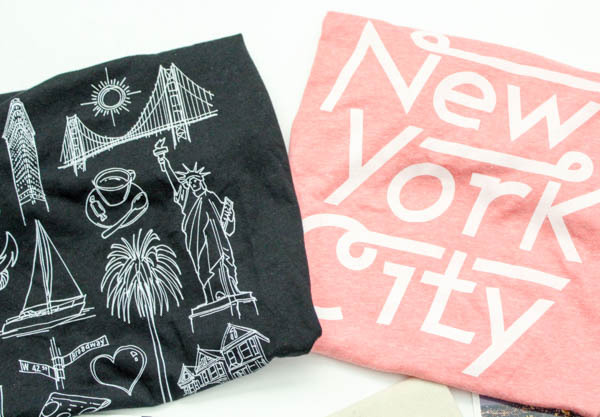 I know it's probably weird to suggest Old Navy as a place to get souvenirs, but they have city specific t-shirts that were adorable and under $12! They aren't available online, so we hit up the location on 34th, closest to Times Square and each got a couple of t-shirts. 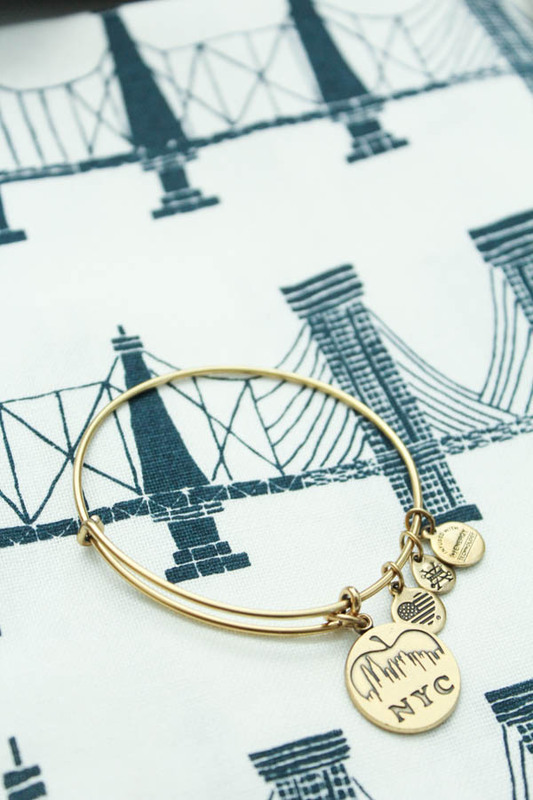 I didn't want the overpriced basic "I <3 NY" shirt, so this was a great cute/affordable option. 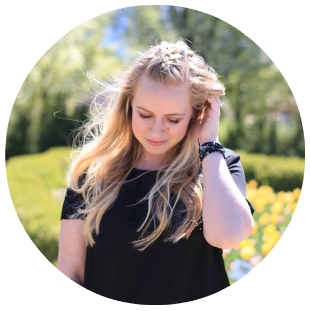 Here are some online options to snag before you go!